Part A. There are predictions in both the Old and New Testaments of the gift of the Holy Spirit. Part B. What was the significance of speaking in tongues in Acts 2? 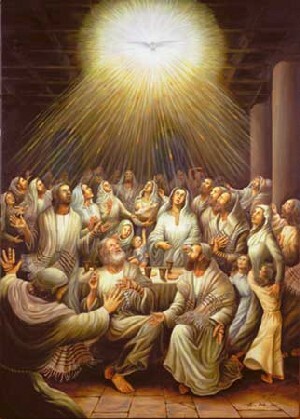 Part C. What was the significance of speaking in tongues in the house of Cornelius in Acts 10? Part D. What was the significance of tongues-speaking in Acts 19:1-7? Part E. Is Tongues-Speaking in the book of Acts normative? Part F. Which Christians are baptized with the Spirit? Part G. Is speaking in tongues a necessary sign of the Baptism of the Spirit? Part H. What is the significance of speaking in tongues in 1 Corinthians 12? Part I. What is the significance of speaking in tongues in 1 Corinthians 13? Part J. What is the significance of speaking in tongues in 1 Corinthians 14:1-25? Part K. What rules must be observed in regard to speaking in tongues and prophesying?